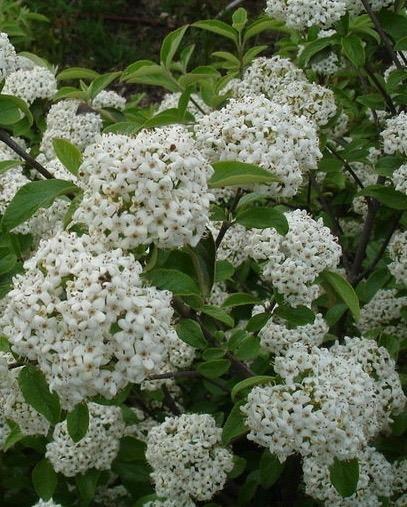 Compact semi evergreen with glossy elongated foliage.Masses of spherical heads of softly scented white flowers, May. Red fruits turning glossy black in autumn. Sun or semi shade. 2m tall, wider than tall.